1) Can you also give a discount code for ab104813? 2) Which AB will you recommend for the Aquaporin 5: AB92320 or AB78486? 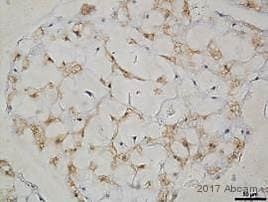 I am afraid I will not be able to offer a discount code for the Anti-Prosurfactant Protein B antibody (ab104813) as I am not sure if the antibody is likely to cross react with the chicken protein. I can provide a discount code for the ab92320 as the immunogen used to raise this antibody shares 91% homology with a chicken protein (SwissProt reference http://www.uniprot.org/uniprot/Q683N0) and would therefore be predicted to react. However I could not do this for ab78486 as the immunogen used is taken from the C-terminal region of the rat protein which shares quite low homology with the chicken protein. In order to raise the discount code for ab92320 I will need the customers email address. The customer has desided to go for AB104813 and she asks for the a testing discount like you offered her on the ab92320. Can you please send me a discount code that I can send with the order to you? 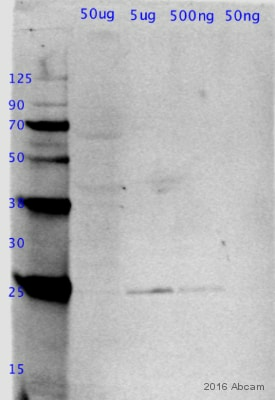 The customer also want to order an antibody for Aquaporin 5. She will wait for your reply before she decides which one to go for. Thank you for contacting us and sorry for the delay in getting back to you. In regards to the Anti-Prosurfactant Protein B antibody (ab104813), I was only able to locate a chicken protein, with the SwissProt reference http://www.uniprot.org/uniprot/E1BSP1 which was identified through performing a Blast of the protein sequence. This chicken protein only shares 24% homology with the human protein from which the immunogen is derived. I would therefore not be very sure that the antibody ab104813 would be able to detect a protein from the chicken samples. It may of course be that there are sequences from the chicken which have not been added to the SwissPort database yet. 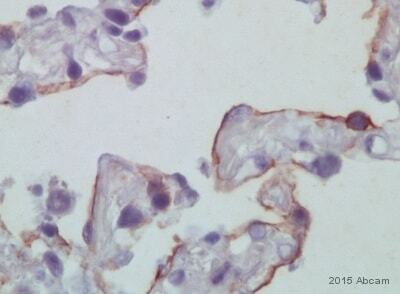 I was not able to find the antibody S841-04 which the customer had used in IHC. If they could sent the datasheet of this antibody I may be able to suggest a more promising alternative. I am able to provide a discount code for the customer for ab92320, however in order to do this I will need their direct email address so we can match them to the Abreview they will submit for the product. They do not however need this code directly for ordering so please let them go ahead and order and I can issues the discount code once you have replied with the email address. 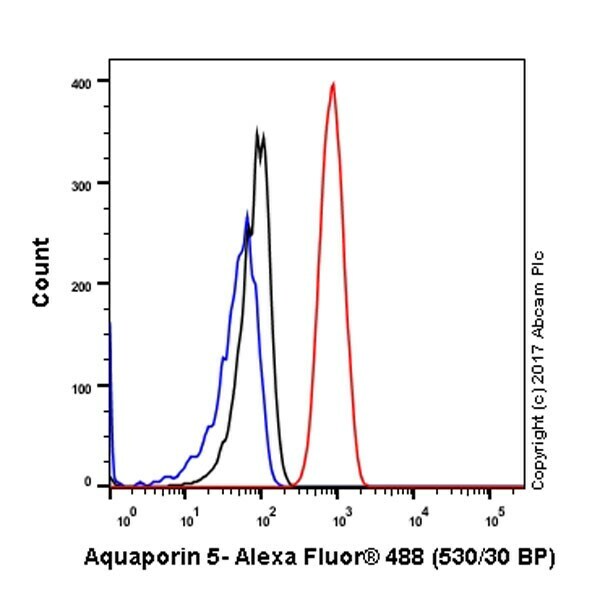 I have recently bought an anti-aquaporin 5 antibody, ab92320, rabbit monoclonal IgG1, and I would like to know the antibody concentration as it was not mentioned on the vial. The lot number is GR2709-10. 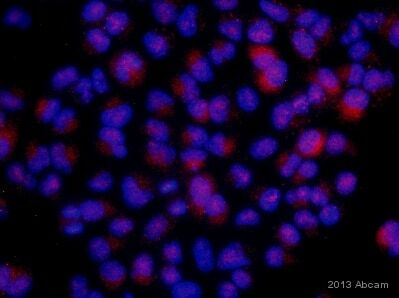 I can confirm that ab92320 antibody is sold as whole antiserum / ascites / tissue culture supernatant. 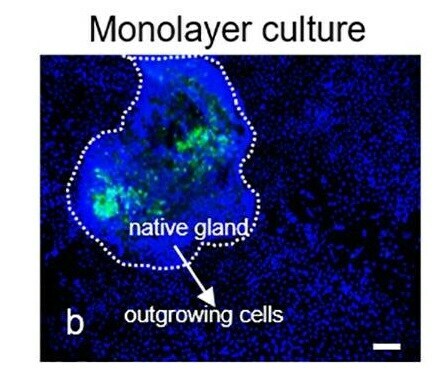 Unpurified antibodies, such as those sold as tissue culture supernatant will not have a concentration stated on the datasheet. Antibody concentration is usually determined by protein assay, and serum / ascites / tissue culture supernatant will contain a lot of other proteins, which means the antibody quantification would not be accurate. 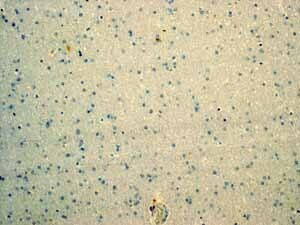 about acuaporin 5 antibody (ab92320), can I know if it reacts in rat? I can confirm that this antibody does not react with mouse and rat brain, heart, kidney and spleen samples as tested by our lab in WB.